Derek has been working in the transportation industry since 2010 helping people learn all about what it’s like to become a truck driver. With a background in communications, Derek uses technology to connect with drivers and share their experiences through the Driver Solutions blog. Whether it’s tips for getting the most out of CDL training or learning how to be successful during the first year of a truck driver job and beyond, it can all be found here. When not on the job, this exercise enthusiast stays active by squeezing in a workout any chance he gets. Derek’s tips for truck driver exercise can be found on his other blog at TheHealthyTrucker.Net and you can connect with him on Google Plus here. Viewing entries by Derek McClain. Learn all about the spectacular new driver support team at PAM. Get 4 fast reasons military veterans make great truck drivers. Get your complete guide to trucking with PAM Transport. Your trucking questions. Our trucking answers. Find out how buying a Bluetooth can help truckers in need! Get some extra motivation to start a new career. PAM Driver Mentor celebrates training 100th student! You've got to see these 1st year PAM driver success stories! 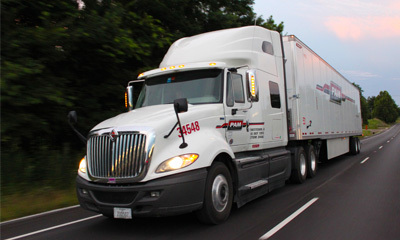 With just a little experience, you can find a Dedicated truck driving job at PAM Transport. RoadWarriors describe their perfect day as a truck driver.